HONOLULU (NNS) -- Nineteen fallen service members posthumously received the Hawaii State Medal of Honor (HMOH) from the Hawaii State Senate and House of Representatives during a ceremony, March 27 at the Hawaii State Capitol. The HMOH was awarded on behalf of the State of Hawaii to family and friends of service members who were killed in action while serving as part of Operation Iraqi Freedom (OIF) and Operation Enduring Freedom (OEF). 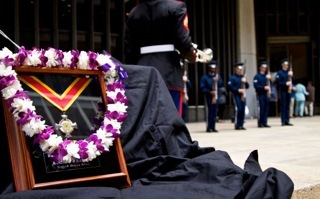 "The [Hawaii State] Medal of Honor is Hawaii's expression of gratitude to those who gave their lives in the service of our nation," said Senate President Donna Mercado Kim. "These citizens volunteered to carry the flag of the United States, to uphold the ideals and principles of our free and democratic nation, to put themselves in harms way, to fulfill their military missions and to represent our people and country with pride, honor and distinction." While delivering a speech during the ceremony, Hawaii Governor Neil Abercrombie spoke directly to family members in attendance. "Know that all those honored today are carried in our hearts and that we are brothers and sisters for and with and to each other. And with that sure knowledge, we know that some small measure of comfort will be extended from us to you, not just this day, but in the days to come. And that you carry with you from this ceremony our commitment and our pledge, not just to remember but to try to fulfill the promise that was made ultimately and with complete sacrifice by those whom you loved," said Abercrombie. 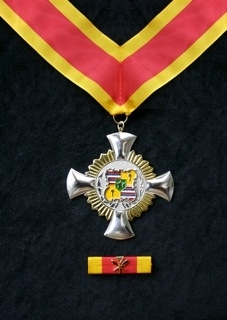 Recipients of the HMOH include members of the U.S. Armed Forces and the Hawaii National Guard who were residents of the State of Hawaii, who attended an educational institution in Hawaii or who were stationed in Hawaii by order of the Department of Defense. As of March 2013, 327 service members with Hawaii ties have sacrificed their lives while in the line of duty serving as part of OIF and OEF. Friends and family members of the fallen service members were present during the ceremony and received a plaque and official certificate. 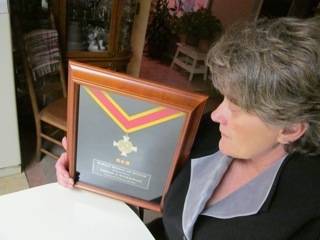 The recipients were rendered with honors of two bells after their name was announced. The ceremony included military support as members of the United States Pacific Command Joint Service Color Guard posted colors, the Hickam Base Honor Guard performed a three volley salute and the Hawaii National Guard played Taps. Maj. Gen. Darryll D. M. Wong, adjutant general for the state of Hawaii, commented on the importance the ceremony and the honor bestowed upon the fallen service members. "We are honored and privileged to be in the presence of the families of our fallen heroes," said Wong. "There is no honor higher that our state can bestow on a member of our armed forces than the Hawaii Medal of Honor, but the price of that honor is far too high. To receive that medal means that a member of our military with Hawaii ties has given up his or her life in the service to our nation. This is not an honor that we bestow with joy; rather, we do so with heavy hearts. Collectively as a state, we have made it our mission to express our deepest appreciation to these brave men and women. 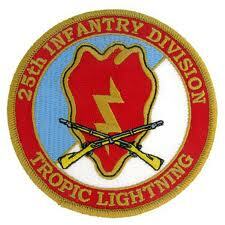 "Hawaii has lost 327 service members," Wong continued. "Our grateful state best honors and remembers the sacrifices of those who have served our nation by living our lives with deep appreciation for our freedom." In conclusion, Wong stated, "Although the Hawaii Medal of Honor cannot take away the pain of loosing a loved one, it symbolizes that Hawaii will never forget. We will never forget them nor will we ever forget their families." United States Marine Corps Capt. Daniel B. Bartle; Cpl. Joseph D. Logan; Capt. 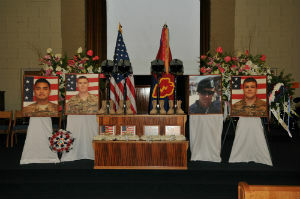 Nathan R. McHone; Corporal Kevin J. Reinhard; Master Sgt. Travis W. Riddick; Cpl. Jesse W. Stites; Lance Cpl. 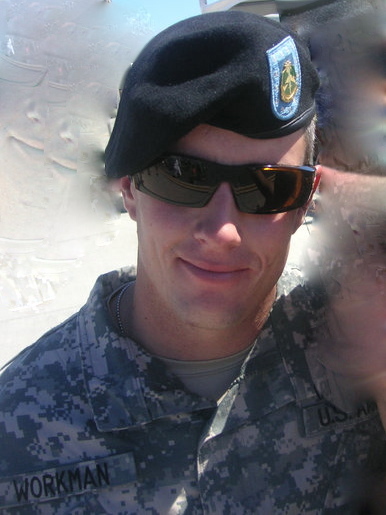 Gregory T. Buckley; Staff Sgt. Scott E. Dickinson; and Cpl. Richard A. Rivera Jr. 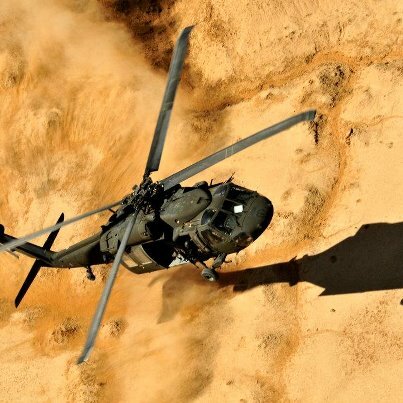 The public is cordially invited to help commemorate the one-year anniversary of the last flight of Diamond Head 20 that crashed in Helmed Province, Afghanistan which claimed the life of Sgt. Chris J. Workman and the crew of the 2nd Calvary, 25th infantry aircraft. The tragic incident will be commemorated with the dedication of a display case in the foyer of Minico High School. The event will take place on April 19th, 2013 at 6:p.m. 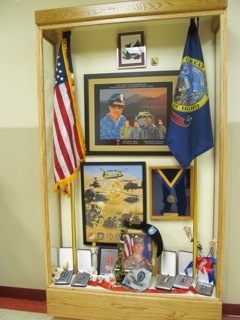 The display case will display the commemorative portrait of Sgt. Workman, his crewmembers, and the aircraft. 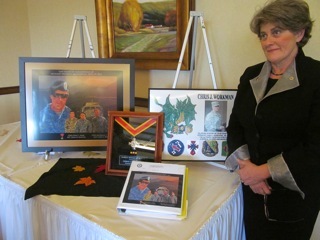 On display will be items of memorabilia from the events of the past year, Workman’s awards, the official Diamond Head-20 Tribute Portrait, and items from the soldier’s life. The unveiling of the case is scheduled for approximately 6:15 p.m. during a reception in the foyer of Minico High School. A program of military tributes and a compilation of events that have taken place during the year will also be shown. Senator Dean Cameron will speak on the subject of the military and the contributions that the brave men and women of the armed forces have made to the cause of freedom. A presentation by the Minico High School Business Club and a military presence will also be part of the program slated to begin at 7:00 P.M. A freewill donation to the Sgt. 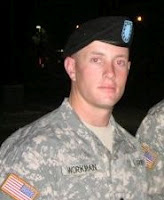 Chris Workman Memorial Scholarship Fund will be accepted but not necessary to participate in the events of the evening. 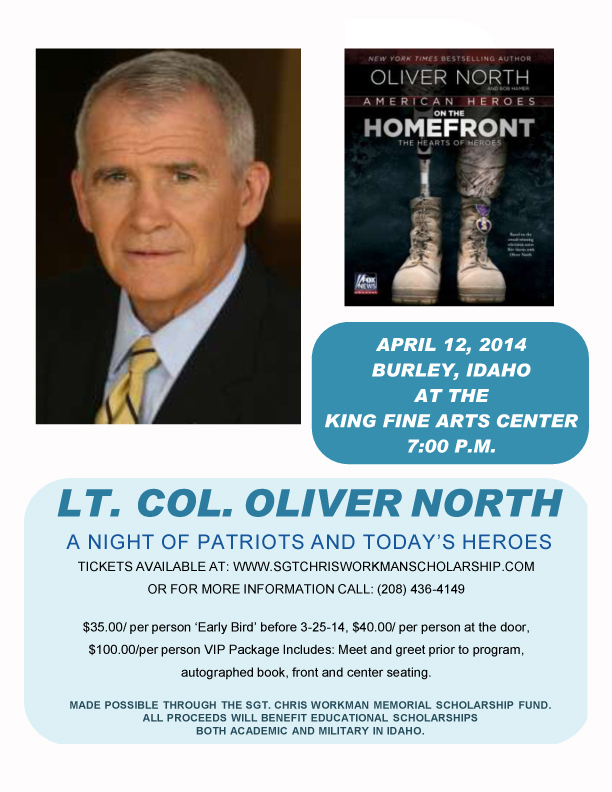 The funds will be used for military scholarship opportunities for Idaho based military personnel. Click the following link to read an article that appeared in The Times News titled: "Thoughts From a Soldier's Mother"
Click the following link to read an article that appeared in The Times News titled: "Sacrifice Remembered"
Click the following link to read an article that appeared in Stars and Stripes: "Black Hawk Helicopter Crew Mourned at Kandahar Air Field"
Click the following link to read an article that appeared in KMVT.com: "Remembering 9/11: The Impacts on Our Community"
Click the following link to read an article that appeared on "The Stars and Stripes" website titled: "For the parents of the fallen, a war that never ends.."